Emeritus Professor of Chemistry, University of Oxford; Author, What is Chemistry? Research Professor of Anthropology, University of Missouri; Author of Noble Savages: My Life Among Two Dangerous Tribes—the Yanomamö and the Anthropologists. Professor, Philosophy & Neural Science; Co-Director, Center for Mind, Brain, & Consciousness, NYU; Distinguished Professor of Philosophy, Australian National U. Writer, Journalist, Der Spiegel & Spiegel Online; Author of weekly and widely read column "Der Kritiker"; Former Cultural Editor at Süddeutsche Zeitung, Frankfurter Allgemeine Zeitung, Sonntags Zeitung and Die Zeit. Social Psychologist; Professor and Chair of the Department of Psychology and Social Behavior in the School of Social Ecology at UC Irvine. Author and Essayist, New York Times. New Yorker, Slate; Author, Why Does the World Exist? Assistant Professor of Environmental Studies, NYU; Author, Is Shame Necessary? Applied Mathematician, UC Berkeley; Founder, Leeward Co.
Television Producer and Writer: Not the Nine O'Clock News; The Hitchhiker's Guide to the Galaxy, QI. Investigator Scientist, MRC Laboratory of Molecular Biology, Cambridge, U.K.
Harrington Spear Paine Professor of Religion at Princeton University; Author, Why Religion? Diary of a Manhattan Call Girl: A Nancy Chan Novel. Matthews Distinguished University Professor at Northeastern University. Senior Lecturer in Law, U. Chicago Law School; Managing Partner, The Greatest Good (TGG). Doctoral student, MIT Media Lab; Researcher; President, Global Minimum Inc. Founder of Participant Media; Producer, "Lincoln"
"perhaps the nation's most vocal authority on data privacy"
Astrophysicist and the author of Silicon Snake Oil (1995) and The Cuckoo's Egg (1989). Evolutionary Scientist, University of Connecticut; Author, Ultrasociety: How 10,000 Years of War Made Humans the Greatest Cooperators on Earth. 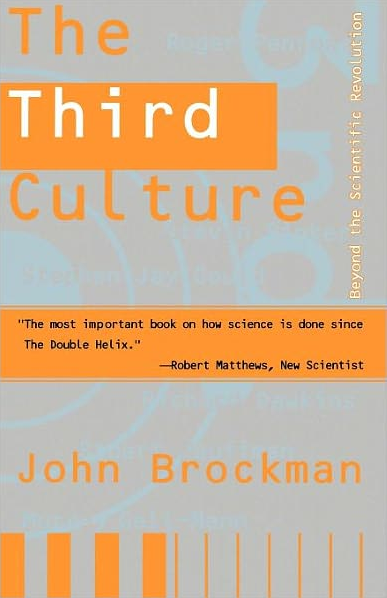 CEO of Biophan Technologies, Inc.
"The most important book on how science is done since The Double Helix."